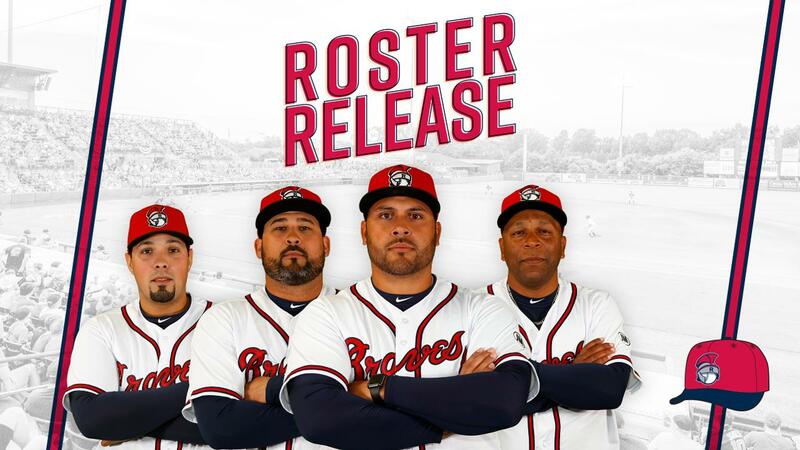 ROME, GA - The Rome Braves, Single-A affiliate of the Atlanta Braves, have unveiled its opening day roster for the 2019 season which begins Thursday on the road in Kannapolis. As ranked by MLB Pipeline, the Rome club features two of the Atlanta Braves top 30 prospects including Trey Riley (20) and Jasseel De La Cruz (27). The roster includes 11 of Atlanta's 2018 draft selections including Riley, a fifth-round pick out of John A. Logan College (IL) who struck out struck out 117 batters in 77 2/3 innings in his last collegiate season. Outfielder Andrew Moritz , a sixth-round pick out of UNC Greensboro last year, also highlights the Rome club. In three collegiate seasons, Moritz posted a .406 batting average with 59 extra-base hits and 10 home runs in 154 games. Four pitchers from last year's club are set to return along with five position players. In addition to De La Cruz, Rome fans will see familiar faces on the mound in fellow right-handers Kurt Hoekstra , Odalvi Javier and Alan Rangel . 2019 will see Hoekstra shift from the infield to the mound full time. Infielders Griffin Benson and Venter will take the field at State Mutual Stadium again along with outfielders Jose Bermudez , Justin Dean and Trey Harris . There are currently 25 active players and one player on the injured list on the Rome Braves roster. The Rome Braves home opener is set for Thursday, April 11 at 7:00 PM against the Greenville Drive. The Single-A Braves open the 2019 season on the road Thursday, April 4 at Kannapolis. After a four-game series against the Intimidators and a three-game set at Columbia, the Braves will return to State Mutual Stadium for the opening seven-game homestand. Season tickets, mini ticket plans and individual game tickets are on sale now. The Rome Braves baseball team is the Single-A affiliate of the Atlanta Braves in the South Atlantic League. Since its inaugural 2003 season, the Rome Braves have captured two South Atlantic League Championships (2003 and 2016). Season tickets, mini ticket plans and individual game tickets are on sale now. Stop by State Mutual Stadium or call 706-378-5100 Monday through Friday, 9:00 AM to 5:00 PM. For the latest news and updates, visit www.romebraves.com or connect with @TheRomeBraves on Facebook, Twitter and Instagram.